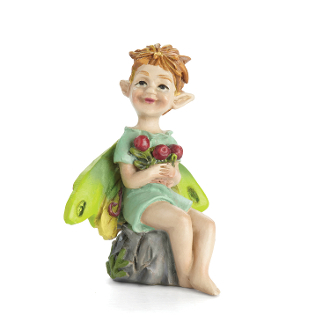 LCousin Cranberry the Swamp Fairy for Miniature Fairy Gardens. 2." Tall.